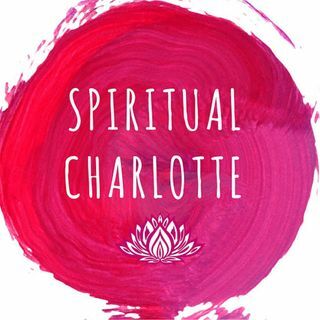 Tune into the Spiritual Charlotte podcast on Wednesday, December 6, at 9:00 AM E.T. (or anytime after) as Co-Host, Debbie Chisholm, turns the table on Host, Kendall Heath, in an interview about her spiritual journey and work as an Interfaith Minister, Medium, and Co-Founder of Light House Spiritual Center. Kendall shares what matters to her most (i.e. the primary mission) of her spiritual work, ...and her "awakening journey" thus far, which started in early childhood with stressful ... See More family experiences. Today she acts as a bridge and translator of spiritual language across many traditions, making room for a God that she believes is way too large for any one dogma or doctrine. She's thinks (for the most part) that every tradition is onto something - a piece of the gorgeous whole! Kendall also sees healing and spirituality as an intertwined path - one as integral to the other. Her mission includes facilitating healing from the illusions we have of our disconnection and separateness, a perception she says leaves people lost, addicted, and suffering with various forms of soul sickness. She explains how she serves the combined mission of healing and personal & spiritual discovery at Light House Spiritual Center in Mooresville, North Carolina. Get to know Spiritual Charlotte's Kendall Heath just a hair better, and maybe you'll recognize parts of yourself in this version of her faith & life journey.